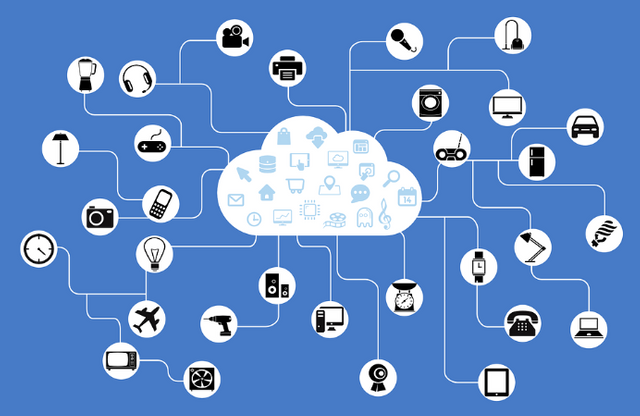 In the rapidly growing Internet of Things (IoT), everything from personal electronics to industrial machines and sensors connect wirelessly to the internet. The diversity of use, and ranges of environment and requirements for IOT devices means no single communication standard can adequately prevail. In fact, the lack of IoT standardisation is a constant theme in the valley. As a result we see tech companies designing platforms to help OEMs and enterprises to overcome diversity and provide a unified approach. Samsung is a good example of this motivation. It’s a step in the right direction. And as a leading consumer tech brand with annual sales of $194BN (Samsung Electronics), the move strives to make user experience more seamless, delivering a connected home experience for consumers across different devices. This is an obvious move for Samsung to gain a foothold in the burgeoning home automation space which experts predict will be a $100 billion industry by 2020. With tech giants like Apple, Google and Amazon vying for position, particularly in the smart speaker space, Samsung needs to unify and open up its platforms to remain competitive. From smartphones to Family Hub refrigerators, Samsung seems well positioned with the largest number of devices and digital appliances to provide a network of connectivity in the home. Providing developers with access to one cloud API across SmartThings-compatible products to build their connected solutions will make it easy to expand the number of compatible of devices. Samsung is providing developers with SDK developer tools that are open, giving them freedom to connect with other third-party systems such as non-Samsung devices and AI platforms like Amazon’s Alexa. Without any clear IoT standard, it makes sense to open the ecosystem on all relevant layers (device, gateway, cloud) to attract as many developers and brands as possible to the platform and make it easier for original equipment manufacturers to deliver smart home and connected IoT products. According to the announcement, Samsung is delivering some of the basic check-list items to attract developers to its platform such as cloud infrastructure, data interoperability, and security. In addition, Samsung is providing the opportunity to build products for the ‘world’s largest provider of devices and digital appliances in the home’. How will developers make money? So, what about the business model? Monetisation for developers was not mentioned in the keynote. But in order for Samsung’s unified approach to IoT to be successful, developers need to make money. This is an ongoing challenge for consumer companies trying to build developer communities. Amazon's Echo covets the number one position in the smart speaker market, and Alexa has attracted a large number of developers who have created some 10,000 skills for the voice assistant. But skill developers have been concerned about how they could make money from the platform and the latest news is that Amazon is going as far as paying developers to develop specific skills. What type of support can Samsung potentially offer? There are a range of possibilities, including a marketplace for developers to reach customers, such as an online store for consumer electronics for smart home products. Samsung could also help developers market and distribute products in brick and mortar retail, like Apple does, by opening Samsung shelf-space to developers. During a recent consulting contract with a health and wellness wearable company I asked Samsung for sales & distribution support pending integration with Samsung Health. I was told there was no Samsung-sponsored ecommerce platform for third party products. Seems like a massive missed opportunity to market to its 70+million phone users in the US. Other companies such as Apple’s App Store in the mobile space and Nest’s ‘Works with Nest’ in the smart home have demonstrated, to different degrees, the power of a developer ecosystem in selling products and creating an ecosystem that is hard to beat. If Samsung successfully offers a clearer business model, developers may flock and the ecosystem will support its unified approach to IoT in the home. A unified approach to the wild west of IoT? Samsung’s new platform represents a promising step towards meeting an ever-increasing technological problem. It’s a start, but the scale of the challenge incredible. It’s estimated there will be a staggering 50 billion devices connected to the internet by 2020, according to Cisco. It seems likely many of these devices will come from enterprise and industrial markets. However, there’s no standard platform or out-of-the-box connectors for these devices to connect due to the diversity and variability of industry-specific hardware, such as sensors and gateways. The technology landscape is diversified; it seems the wider problem is with how devices are developed and built. But this is a challenging problem to solve: there is no one single connectivity that can cover any use case – some need high radio bandwith (e.g. Wifi), some need high radio range (e.g. Sigfox, LoRa, LBRadio), some need very low power consumption (e.g. Zigbee, BTLE, LBRadio), and some might simply need a cable (Ethernet). The lack of unified APIs in the IoT Apps layer complicates things even more making it impossible to simplify the process of connecting, managing and getting insights from products and services. This creates a lack of a meaningful interaction between devices across different verticals, such as home, enterprise, energy, medicine etc. Players across the market are currently striving to provide standardisation to facilitate interaction between apps and devices across different verticals. This includes enterprise, energy, medicine and others. One player worth watching is Qualcomm with its mesh networking reference. Other players offering IoT platforms include IBM Watson, Microsoft Azure, Verizon’s ThingSpace. All these platforms highlight the fact that the diverse set of endpoints, network technologies, protocols, IoT software, and application development services will continue to pose a huge challenge to a unified approach to IoT for the foreseeable future. We at First Capital are closely watching the IoT space and look forward to seeing how standardisations unfold for players in the smart home and the wider IoT market at large.